We offer a full range of services to help diagnose, treat and manage your cat’s health concerns. We offer comprehensive in-house and reference laboratory testing. Blood work, urinalysis, and other diagnostics help us to quickly and accurately diagnose illness, treat symptoms, and monitor the progress of medical care. X-Rays are frequently a component of a diagnostic plan, and are very useful in determining the underlying cause of illness. 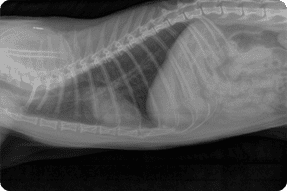 The advantages of digital radiography include higher quality images, decreased radiation exposure for your cat and our staff, decreased wait time for obtaining images, decreased environmental impact (no film or processing chemicals to dispose of), and the ability to transmit images to a board certified radiologist if a second opinion is indicated. 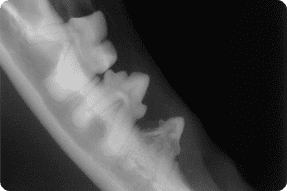 We also offer complete digital dental radiography which allows us to assess any disease below the gum line as well as facilitate proper tooth extraction technique. For more information on dentistry, click here.